If you want an original camp, meet Biosurfcamp! An intense surf plan with many fun activities on the beach and in nature. Throughout the summer, we have day camps and camps with accommodation in 5 weekly shifts from Sunday to Sunday. All of them full of activities related to surfing and in a unique natural environment around our surfcamp. Enjoy a well-deserved vacation while discovering a magical sport: surfing. In addition, you will practice it in a place where great surfers of international stature have been forged and you will share this passion with other young people who are also looking for an alternative summer camp. You will live a unique experience thanks to the combination of outdoor activities and excursions in which you will get to know Cantabria accompanied by qualified surf instructors. In your free time, you will share knowledge and enthusiasm to fully enjoy your stay at the surfcamp. 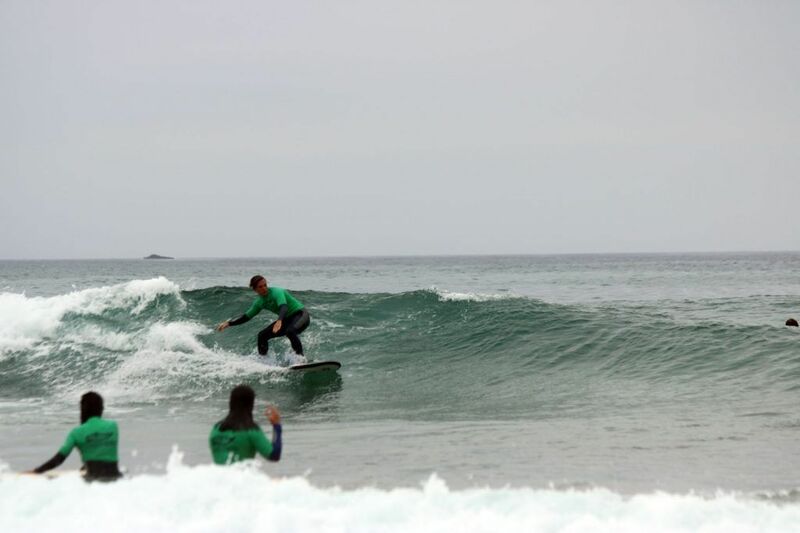 A part of our camps, especially in the mornings, surfing will be the main activity. The camps are intended for both boys and girls who have never surfed and for those who have already had their first contact with the world of surfing or who already dominate the board. We will start with the technique in the sand and the safety to continue with the practical development in the water. Afterwards, we will refine concepts about the correct standing, the choice of the best waves and the distribution of weights to maneuver in the board. Also, back on land, we will complement activities such as the slack-line, the longskate, the surfskate and the review of the photos and videos to enjoy the best moments surfing while polishing failures. And many more things that you can’t miss! 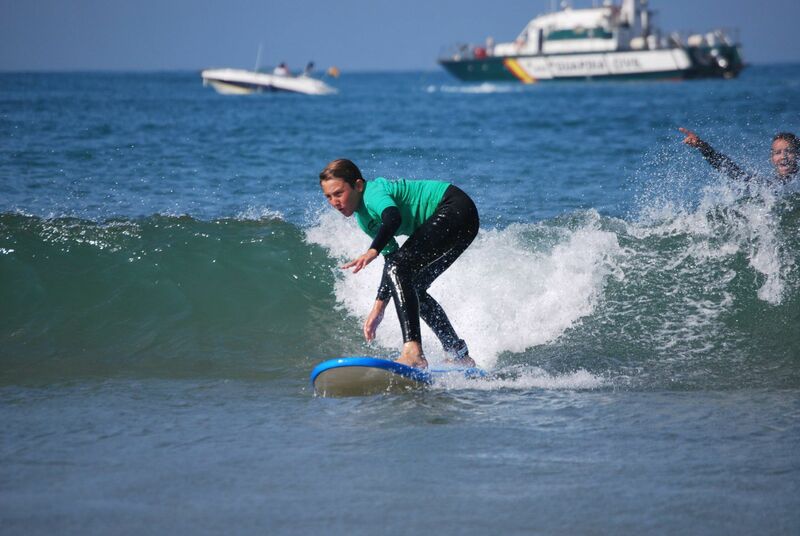 The surfcamp is intended for boys and girls from 10 to 17 years old. Throughout the young surf camp, you can see how a great group atmosphere is generated and friendships arise almost spontaneously, thanks to our detailed organization, personalized attention and the great human quality of both our instructors and the rest of the team. If you come alone, you have nothing to worry about! In Suances you will enjoy one of the most special summer camps. Where is the surfcamp for children? 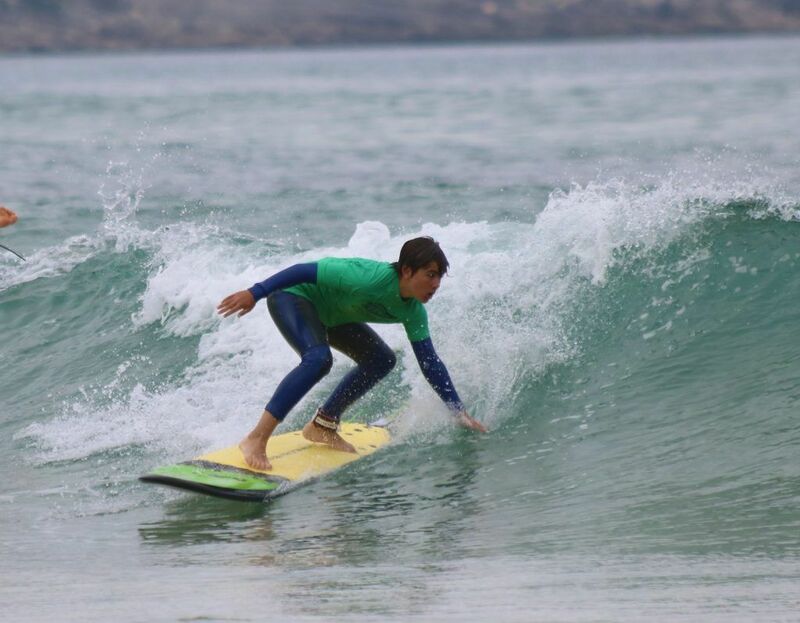 The surf camp for children takes place in Suances, Cantabria. Our facilities are in the northern area of the village, where we have the accommodations and surf school. We will leave every morning from this place to the different beaches of Suances to enjoy the surf courses. Once on the beach, we will review the basic technique and perform a small warm-up before starting the activity. The afternoon activities will take place in our facilities, on the beaches of Suances and nearby places such as the labyrinth of Villapresente or Santillana del Mar. We will use our vans to move to the beach and the rest of the places where the activities will take place. 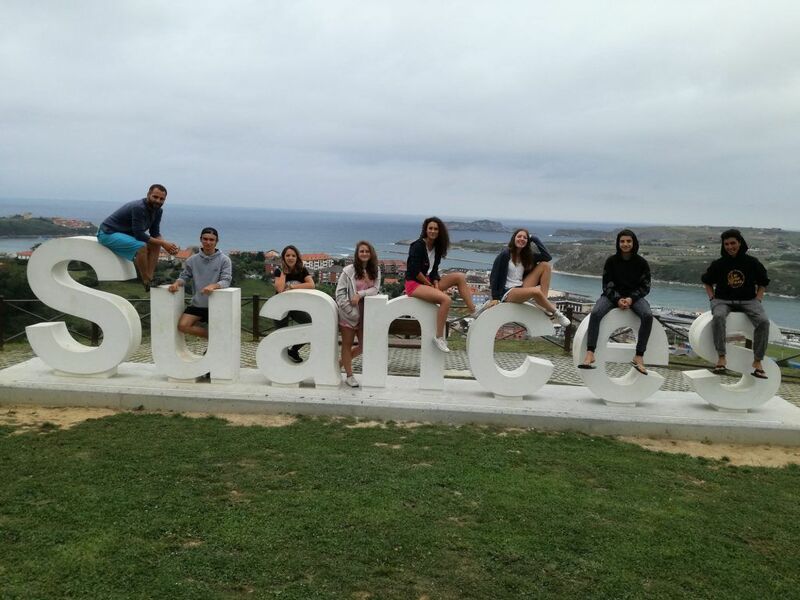 Suances is located 15 minutes from Torrelavega, the second most important city in Cantabria. It has a bus and train station. It is also 30 minutes from Santander which also has an airport. 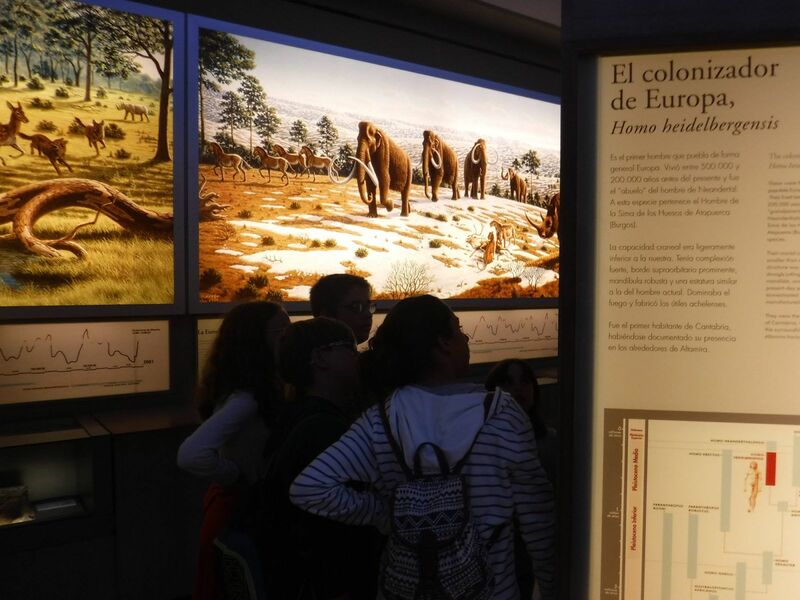 In addition, it is 1 hour and 15 minutes from Bilbao. Biosurfcamp offers collection and transfer services for minors who come to the camps with these three cities. If you need it, get in touch with us. 7 days of Surf course with a daily course in the mornings of 2,5 hours (17,5 hours in the water, with games and related exercises in the camp). Surf material (custom surfboard, wetsuit, lycra and accessories). 24 hours of care and surveillance by our Free Time Monitors with close treatment. Personalized support of the minor by a Coordinator of free time in any kind of personal difficulty during the stay. 7 night stay in shared dormitory. 7 days of Full Board (breakfast, lunch, snack and dinner with good varied products and healthy cooking). Afternoon activities such as bike tours on the bike path, supervised surfing, workshops, games, ginkanas, beach volleyball, longskate and indoor surfing out of the water. We will also make excursions around Cantabria and more varied activities depending on the affinities of the group. Insurance cover for Civil Liability and Accidents. Homemade snacks, fruit and juices at any time. Farewell party with barbecue, evening, video projection with the best moments of the week and delivery of diploma. Optional: Service Transfer of arrival or departure (Santander 29€, Torrelavega 15€ and Bilbao 135€). Biosurfcamp offers the possibility of mid-day and full-day camps without accommodation. These camps are available throughout the 5 shifts of camps for children that we have available. The mid-day camp is from 9:30 in the morning until 14:00 in the afternoon. It includes a surf class and the rest of our morning activities in our facilities. The price is 35€/day. The full day camp is from 9:30 in the morning until 8:00 in the afternoon. It includes a surf class and the rest of morning activities in our facilities, lunch and afternoon activities. The price is 50€/day. For any questions about our camps for children, surf course, the stay, special needs of food or other types, arrival and departure of the camp, care and surveillance, reservations and others, contact us at info@biosurfcamp.com or call 680 206 552.